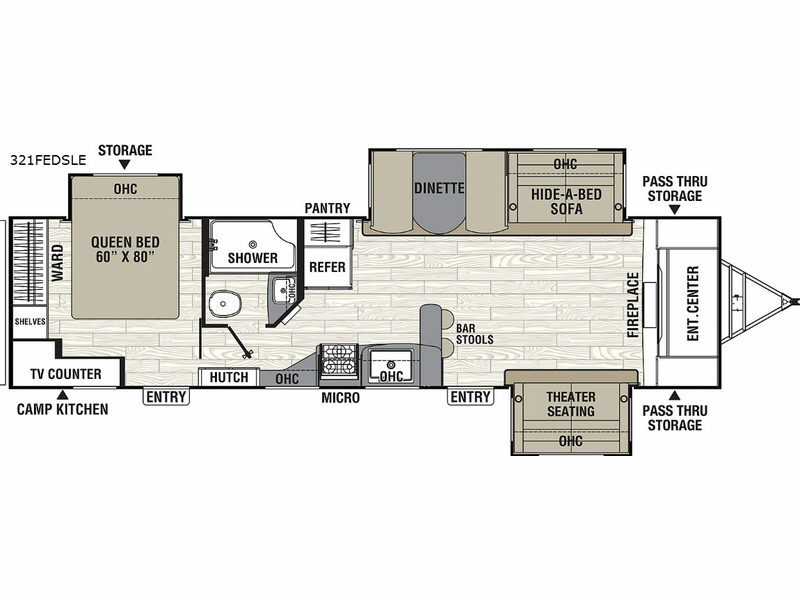 You aren't dreaming, this is a unique model in the Liberty Edition with a rear master bedroom including a large TV counter, a slide out queen bed, and a second exterior entry. 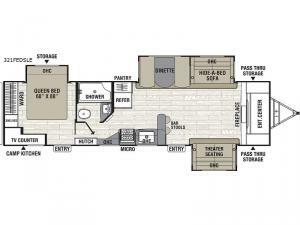 The front of the RV includes a cozy fireplace and an entertainment center for relaxing inside on the theater seats, a hide-a-bed sofa and even a booth dinette. The kids will love eating at the raised bar with stools, and you will surely love having all the kitchen appliances necessary to keep everyone fed and ready for fun!